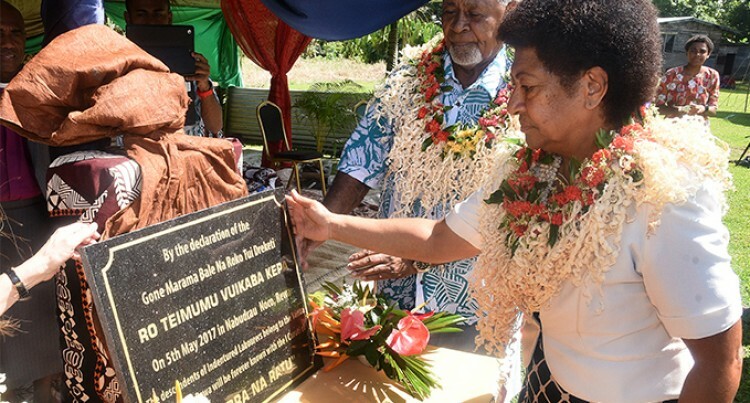 Tui Noco Ratu Isoa Damudamu (left) and Marama Bale na Roko Tui Dreketi, Ro Teimumu Kepa while unveiling of Plaque to commemorate the name for descendent of Indian Indenture Labourers , “Luvedra na Ratu” at Noco Village in Rewa on May 5, 2017. Photo: Ronald Kumar. One of the serious challenges facing SODELPA is its failure to attract non-iTaukei. If you flip through the pages of its constitution, the document encourages party members to reach out to other races, cultures and religions. In practice, the party has paid lip service to its objective to broaden its appeal base. Consequently it has strengthened the perception that the predominantly iTaukei party has little to offer to non-iTaukei. The only significant attempt to reach out to Indo-Fijians was by Ro Teimumu Kepa, in her capacity as the Marama Bale Na Roko Tui Dreketi, paramount chief of Rewa and Burebasaga Confederacy. She gave her blessing for the drafting of the Girmitiyas, descendants of the Indian Indentured labourers, to the chiefly clan of the Tui Noco, and be called “Luvedra na Ratu” or children of the chief. The same ceremony was performed in Ba, again under the blessings of Ro Teimumu. The move was hailed as a significant step in promoting tolerance and strengthening race relations. But the party needs to do more and build on Ro Teimumu’s initiative. SODELPA is busy on the campaign trail. It is doing more politicking than conducting public relations and community relationship building. When the anti-Muslim rhetorics increased and iTaukei were shaken by land lies, did the party reach out to the communities to preach tolerance and truth. Have there been attempts to invite groups with different beliefs to SODELPA meetings to hear their views and understand their positions? Or has SODELPA been to these groups to hear them and understand their positions? Unless they do this they will always focus on iTaukei issues? Non-iTaukei are justified if they think they have no reason to join SODELPA. This issue could be raised in the party’s annual general meeting at Namoli Village, in Lautoka on Saturday. This is the first big meeting of the party since the December special general meeting debacle which came under scrutiny by the Supervisor of Elections, Mohammed Saneem. Expect some lively discussions at the meeting.